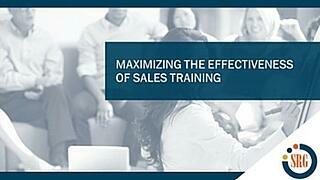 Companies spend about $20 billion a year on various forms of sales training. Still, many sales leaders report low ROIs from their sales training initiatives. So how can you ensure that your investment in sales training is producing great results? In this webinar we discuss five essential factors that can help you achieve sustainable success from your investment in sales training programs.